Not surprisingly, I’m all about fresh, fresh fruit lately. The lack of my surprise is due to two things. First, of course, it’s nearly summer and what better way to indulge in the long, hot days of this season than with fresh cut fruit stocked in the fridge? And second, because fruity silhouettes have infiltrated my Pinterest and Instagram feeds so heavily as of late, that I can no longer ignore the trend. But, of course, why would I want to? 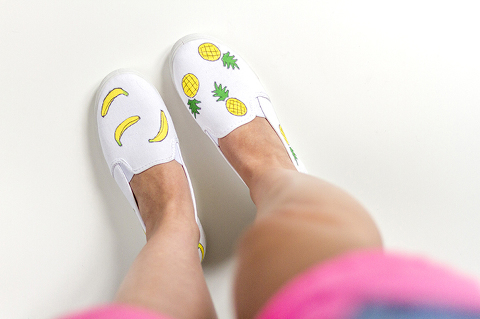 Bring on the strawberries, pineapples, kiwis and grapes! 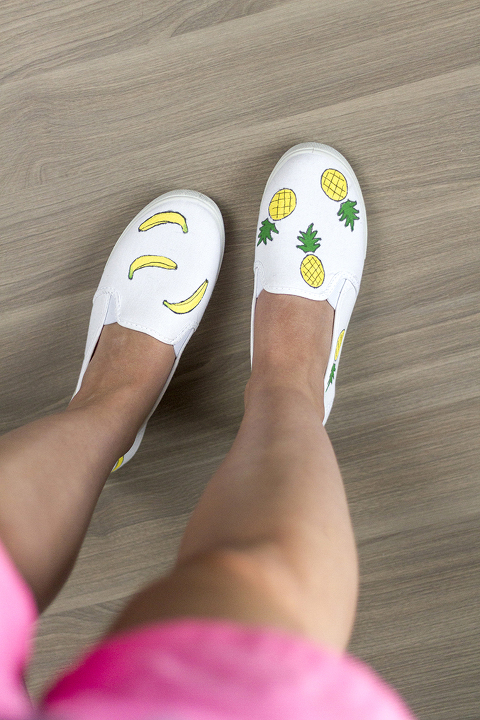 To put my new obsession to the test, I created a pair of DIY Pineapple and Banana Painted Canvas Slip-on Shoes right after getting home from the beach last month, and have been hoarding these neon and white cuties for a couple of weeks now. Enough is enough! 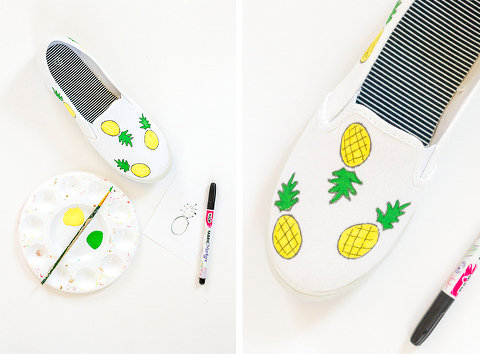 It’s time to set them free, and you can snag the tutorial and free printable stencils over on eHow right now! P.S. Have you entered the Snapfish giveaway yet? There’s still time! And psst…The winners of the Barn & Willow and Kate Aspen giveaways have been announced. Did you snag the prizes? Click those links to find out.